As I've mentioned before, having a nursing baby presents a sartorial dilemma. You've just had a baby, which means it'll probably take a while before you can fit back into your pre-pregnancy jeans, but you don't want to spend all your time in sweatpants (as comfortable as they are)! It would be so easy to just slip into a dress that skips the whole pinching waistband problem that pants provide, but then how are you going to feed that baby without flashing your undergarments at everyone? The solution? Easy access dresses, i.e. dresses that allow for nursing, don't scream "I'm a milk machine," and can still be worn long after you've stopped breastfeeding that baby. It's a super plus if they'd really be cute for anyone, whether you're a mama or not. So I scoured the internets, just for you, to share a couple of Fair Trade options! That overlapped neckline would be perfect for a nursing mama, plus the elasticized waistband and ladylike shape is super flattering for a post-baby bod. And that black and white floral print? Adorable. And as if that weren't enough? It's currently on sale, has pockets, and also comes in red. I mean, could you get any cuter? 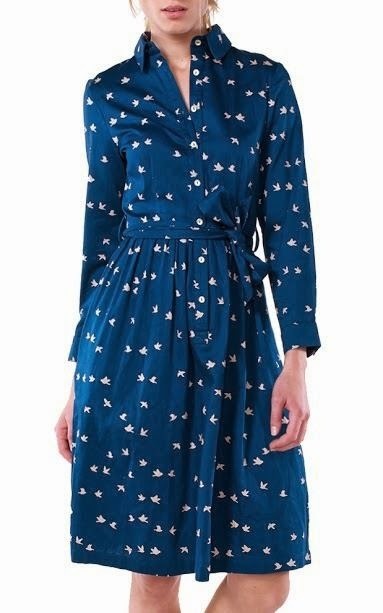 It's a classic silhouette, with its collar and nipped-in waist, but it's such a rich, saturated blue, covered with tiny birds! The button-down placket is perfect for breastfeeding or pumping, while still keeping you covered where you'd like to be. In addition to that, it's made by artisans in India from organic and naturally dyed cotton. That does it for my round-up of nursing friendly dresses! Is there anything you'd like to see featured on Fair Trade Friday? Baby stuff? Fair Trade jewelry under $20? The sky's the limit! 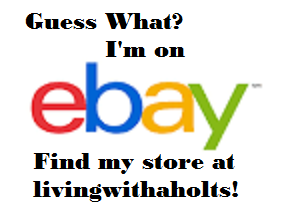 Just let me know in the comments and I'll do my best to track down the best ethically made options for you! That last dress is fabulous! I absolutely love it and I'm not even breastfeeding!